Nador and Arthur’s Crossing are my next long-term project. 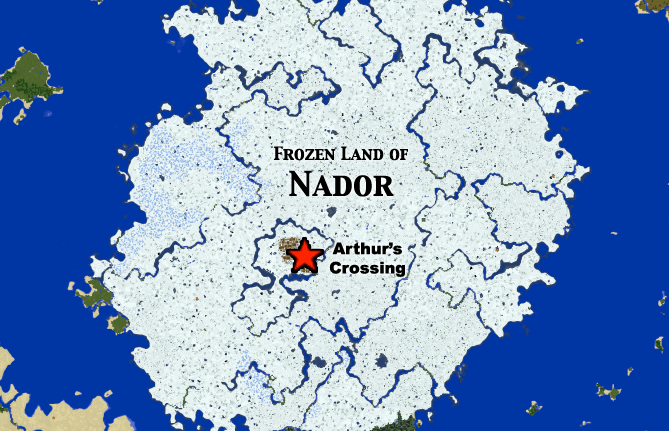 The Frozen Land of Nador is a large frozen continent to the east of Denbar. Arthur’s Crossing will be its capital city in the middle of the frozen landscape. Arthur’s Crossing will start as a smaller town, and over time will grow into one of my more massive cities.